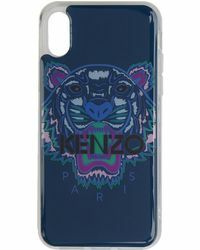 Established in 1970, KENZO continues to create products with fresh and edgy designs. Founded by and named after Japanese designer KENZO Takada, the label is revered for its hip and distinctive style. Instantly recognisable by its iconic tiger logo, the brand clothes the contemporary, fashionable male. The men's KENZO cases collection boasts an array of covetable items. 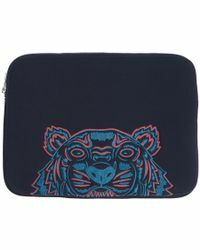 Textured card holders and clutches with bold patterns feature throughout the range. 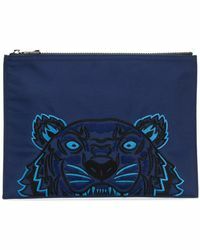 From cases for the latest technology to pouches, these pieces exude colourful, fashion-forward style.